When the universe was still very young, only a few kinds of atoms existed. Scientists believe that around 100,000 years after the big bang, helium and hydrogen combined to make a molecule called helium hydride for the first time. Helium hydride should be present in some parts of the modern universe, but it has never been detected in space — until now. 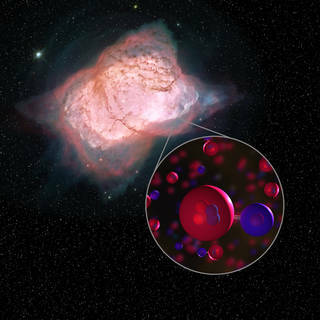 SOFIA found modern helium hydride in a planetary nebula, a remnant of what was once a Sun-like star. Located 3,000 light-years away near the constellation Cygnus, this planetary nebula, called NGC 7027, has conditions that allow this mystery molecule to form. The discovery serves as proof that helium hydride can, in fact, exist in space. This confirms a key part of our basic understanding of the chemistry of the early universe and how it evolved over billions of years into the complex chemistry of today. “This molecule was lurking out there, but we needed the right instruments making observations in the right position — and SOFIA was able to do that perfectly,” said Harold Yorke, director of the SOFIA Science Center, in California’s Silicon Valley. Then, in the late 1970s, scientists studying the planetary nebula called NGC 7027 thought that this environment might be just right to form helium hydride. Ultraviolet radiation and heat from the ageing star create conditions suitable for helium hydride to form. But their observations were inconclusive. Subsequent efforts hinted it could be there, but the mystery molecule continued to elude detection. The space telescopes used did not have the specific technology to pick out the signal of helium hydride from the medley of other molecules in the nebula. A recent upgrade to one of SOFIA’s instruments called the German Receiver at Terahertz Frequencies, or GREAT added the specific channel for helium hydride that previous telescopes did not have. The instrument works like a radio receiver. Scientists tune to the frequency of the molecule they’re searching for, similar to tuning an FM radio to the right station. When SOFIA took to the night skies, eager scientists were onboard reading the data from the instrument in real time. Helium hydride’s signal finally came through loud and clear. 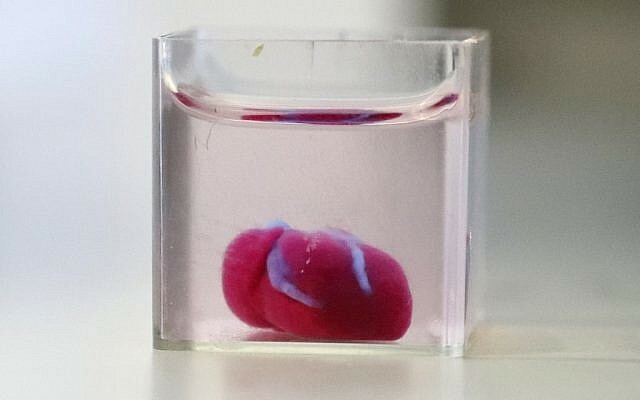 Scientists in Israel unveiled a 3D print of a heart with human tissue and vessels on 15.04.2019, calling it a first and a "major medical breakthrough" that advances possibilities for transplants. While it remains a far way off, scientists hope one day to be able to produce hearts suitable for transplant into humans as well as patches to regenerate defective hearts. The heart produced by researchers at Tel Aviv University is about the size of a rabbit's. People have managed to 3D-print the structure of a heart in the past, but not with cells or with blood vessels. But the scientists said many challenges remain before fully working 3D printed hearts would be available for transplant into patients. Journalists were shown a 3D print of a heart about the size of a cherry, immersed in liquid, at Tel Aviv University as the researchers announced their findings, published in the peer-reviewed journal Advanced Science. Researchers must now teach the printed hearts "to behave" like real ones. The cells are currently able to contract but do not yet have the ability to pump. Then they plan to transplant them into animal models, hopefully in about a year. But while the current 3D print was a primitive one and only the size of a rabbit's heart, larger human hearts require the same technology. 3D printing has opened up possibilities in numerous fields, provoking both promise and controversy. The technology has developed to include 3D prints of everything from homes to guns. Since November 2, 2000, the International Space Station has been continuously crewed meaning humanity has had a permanent presence in space. This importance of this station cannot be overstated—NASA has literally filled a book with all the ways the ISS has benefited humans on earth. It’s helped develop new cancer treatments, enhanced robotic surgery technology, improved data processing techniques, its benefits stretch far and wide.It is quite possibly the most significant science experiment humanity has ever undertaken. It is also quite possibly the most expensive single item humanity has ever built at an overall cost, so far, of about $160 billion. Breaking that down, each day that each astronaut spends on the ISS costs about $7.5 million. The ISS is a joint project between Russia’s Roscosmos agency, Japan’s JAXA, Europe’s ESA, Canada’s CSA, and the US’ NASA. Physically, though, it’s split up into the Russian segment and the US segment with these two countries more or less taking responsibility for managing and supplying their side. At over 350 feet or 110 meters long, the station is longer than a 747 and has more interior space than the average six bedroom house. Space is still at a premium, though, as science experiments and equipment take up most of the room so normally there are only a maximum of six crew members onboard at any given time. Back on earth, though, there are thousands of people working to support the activities of those six. Now that the international space station is built and operating, the whole mission is basically a big logistics problem—it involves getting people, food, water, supplies, and experiments up and down from the station in a consistent, cost-effective, and safe manner. Food, as an example, is one of the only completely non-renewable resources onboard the ISS. Water can be recycled, oxygen can be generated, supplies can be reused, but food is one and done. That means there has to be consistent shipments from earth to the station. About half the food is supplied by the Russians and the other half by the Americans. There are a few constraints to space food—it has to be shelf stable as there are no refrigerators onboard, it has to last about two years as resupplies only happen a few times a year, it has to be light as weight is precious on the resupply rockets, and it has to be easy to prepare as astronauts’ time is valuable. Within those parameters, the Russians use a system of canned food while the Americans use a system of flexible pouches which have the advantage of being lighter weight than the cans. This NASA food is produced at the Johnson Space Center in Houston, Texas. Long before they launch, the astronauts do a taste test to determine which foods they like most and they express these preferences. Based on those, NASA will produce and load more of the best-liked foods. The astronauts can choose from hundreds of items—spaghetti and meatballs, barbecue beef brisket, Caribbean chicken, vegetable quiche, beef enchiladas, the options go on and on. Somewhat surprisingly, the ingredients for the food are just purchased at a grocery store like any other meal. There is no special sourcing or special ingredients, although they do inspect the ingredients carefully after buying to be extra sure that they are safe. As far as we know, no astronaut has yet gotten food poisoning in space and NASA wants to keep it that way. The food is then prepared fairly conventionally until the last step. Food is made shelf stable and lightweight by one of two methods—thermostabilization or freeze-drying. With thermostabilization, heat is used to destroy microorganisms and enzymes that would cause food to spoil. With freeze-drying, the food is frozen and then almost all moisture is removed. With this technique, there is nearly no water left in the food, which is normally the bulk of its weight, so a full serving of spaghetti, for example, weighs only one ounce or 28 grams. The space station has a water recycling system that recovers about 80% of the water onboard which means that, while they do occasionally have to resupply water from the earth, it’s more efficient to ship food up without water in it since the water onboard can be reused for multiple meals and that also helps keep it shelf stable. Overall, freeze drying reduces the total food weight they have to take up. NASA currently pays about $29,000 per pound for shipment to the Space Station. Each gallon of water they bring therefore costs them about a quarter of a million dollars.mThat also means each of those one-ounce portions of spaghetti costs them about $1,800. They also typically include a few pieces of fresh fruit anytime a rocket goes up as a treat and, with these shipment costs, each apple is worth almost $10,000. This is why so much focus is put on minimizing weight. In addition to the food they make, some foods are just shipped up as is. For example, if a crew member has a particular type of granola bar they like, the food preparation team will go out and buy some of those as a sample and perform some tests in their lab to figure out if it’s, as they call it, “flight compatible.” In that, they are basically looking to be sure that it’s not too crumbly as they don’t want crumbs floating around into all the nooks and crannies of the station, as well as being sure it’s not too liquidy, both for the purposes of weight and to be sure that it doesn’t cause free liquid to float around. Assuming it passes these tests, astronauts can pretty much bring what they want for snacks. It will be repackaged into NASA’s pouches, but there’s a surprising amount of simply store-bought food on the station. Once all food is produced and packaged, it is shipped to one of four launch sites—either the Mid-Atlantic Regional Spaceport in Virginia where Northrop Grumman Cygnus resupply spacecraft are launched from. Cape Canaveral, Florida where SpaceX Dragon spacecraft are launched from. Baikonur Cosmodrome in Kazakstan where Russian Progress resupply and Soyuz crewed spacecraft are launched from; or Tanegashima Space Center in Japan where Japanese Kounotori spacecraft are launched from. The food will be carefully packed alongside everything else making the trip ensuring proper spacecraft balance. 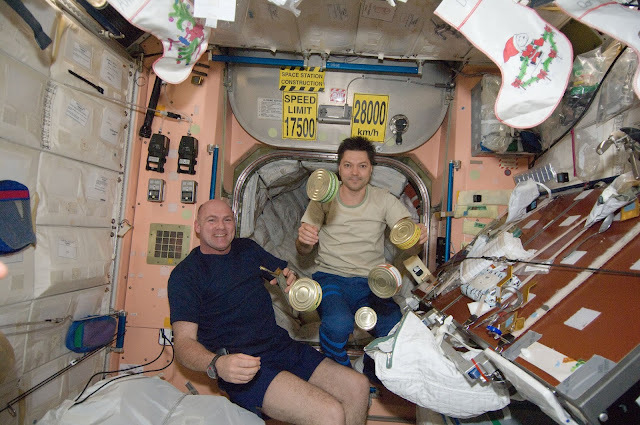 Thanks to all these weight-saving techniques, supplies for crew, including food, only represent a small portion of the overall weight of each launch. For example, on one SpaceX launch, crew supplies only represented 530 pounds or 240 kilograms of the 6,000 pounds or 2,700 kilograms of cargo. The rest of the launch capacity is dedicated to equipment and experiments. Now, part of the difficulty of this supply chain is that launch dates change a lot. For example, the SpaceX resupply, CRS-16, was initially scheduled for August 2018, then it was pushed back till the 29 of November, then till December 4th, then again to December 5th when it finally launched. These delays can come from quite mundane issues. The December 4th to December 5th delay, for example, came because it was found that the food loaded for lab mice who were making the trip was moldy and had to be replaced. Even just getting a launch or landing date in the first place is difficult enough. Each site has its own set of constraints potentially preventing use. For example, Tanegashima Space Center in Japan can only be used for launch at certain times of year since, during fishing season, there are large numbers of ships offshore from the launch site which could be hit and damaged if a rocket exploded. Elsewhere, a Soyuz landing in Kazakstan had to be rescheduled as there was a G8 summit nearby which, for security reasons, imposed airspace restrictions that prevented spacecraft search and rescue aircraft from flying. Even the angle of the sun relative to the ISS constrains when a spacecraft can dock. The other factor that can affect the supply chain is that rockets are imperfect. 5 of the 117 resupply missions to date to the International Space Station did not make it for one reason or another meaning there’s a failure rate of 4.3%. There was even a nine-month stretch from 2014 to 2015 when three resupply missions failed. In times like these, it’s quite important that the ISS has plenty of backup food, water and supplies. While the astronauts would never starve, running out of food or water could mean that they would have to return to earth early potentially leaving the ISS un-crewed and therefore wasting many millions or billions of dollars. When that third mission failed on June 28th, 2015, the station had enough food to last them for about another fifty days. In this case, even with three failed missions, they had plenty of food to last them especially considering the next resupply mission, a Russian Progress spacecraft, was scheduled just a week after the failure and it was successful. There have been close calls, though. After the Space Shuttle Columbia disaster in 2003, astronauts had to cut their daily caloric intake and supplies got as low as 7 to 14 days of food. They were one resupply failure away from having to evacuate. Sometimes, in order to stretch the food supply, NASA will have to extend the certified shelf life of food onboard. For this purpose, they keep a sample of each batch of food they make on earth, packaged and stored in the exact same conditions as on the ISS, so they can test if food is still fit for consumption and safe. Assuming a rocket doesn’t have any issues, it will typically make it to the ISS in about two to three days. Once the spacecraft is near the ISS, the crew will spend almost a whole working day dealing with the docking process. Once that’s completed, either the same day or the next morning, they’ll open the hatch. Typically right at the hatch is the crew care package. This will include those fresh fruits and vegetables as well as some items sent up by the crew’s families. One time, the crew care package even included real ice cream. While there isn’t normally a freezer onboard, in this instance a portable freezer was sent up in order to transport samples from an experiment back to earth but, since it was empty on the trip up, the crew got this treat. Over the next few months, astronauts will go through their food one container at a time scanning a barcode each time they open one to let mission control know what their inventory level is like. That way, if the food is going quicker or more slowly than expected NASA can adjust future shipments. Onboard, dehydrated food is heated up and hydrated using a food re-hydrator while other food can be heated up using another heater. The point of putting so much effort into food on the ISS is for the psychological well-being of the astronauts. With working long hours bottled up in a small space for up to a year, the mental stress of the job is enormous so any effort that can help reduce that is an effort worth doing. As part of this, NASA puts a good amount of work into movie night. They have a large projector screen and, in addition to their onboard digital library of about 500 movies, the crew can download new movies. The ISS does have an internet connection and they’ve been known to get some movies, such as Star Wars: The Last Jedi, while they’re still in theatres. That same internet connection lets astronauts browse the web quite freely, even if it’s not quick. While the station does have 300 megabits per second of downlink capacity, the vast majority of it is dedicated to experiment and other data, but astronauts are able to regularly video call their families using it. The unloading process of resupply vessels is quite a slow process, partially just because there isn’t much storage space onboard. Once a resupply vessel is unloaded, though, the crew will start loading it again with trash. The Northrop Grumman Cygnus, Russian Progress, and Japanese Kounotori spacecraft cannot return to earth so they just burn up in the atmosphere along with all the trash. The SpaceX Dragon and crewed Russian Soyuz spacecrafts do return to earth so they can bring back samples and experiments. Once ready, the spacecraft will undock and slowly drift away from the ISS until it disappears from view and at that point, the ISS is ready for another delivery of humans or cargo—one of the most unique regular deliveries in our universe. Really, Sharks Will Cure Cancer? It seems like every time scientists learn something about sharks like, a new genome is published everyone suddenly starts going on about whether this new bit of information will finally show us how sharks will cure cancer. There is no doubt about it that sharks are awesome. And they can do some pretty incredible things. But wiping human cancers off the face of the Earth is not ever going to be one of them. Sharks are not invincible. They still get old. They get sick. And just like the rest of us, they can get cancer. There is no magic cure hidden in their genes— just like there wasn’t one in their cartilage. So let us kill this zombie of a myth once and for all. The idea that sharks are swimming cancer cures all started in the 1970s. Back then, researchers observed that cartilage— a flexible but firm kind of connective tissue— inhibited blood vessels from developing into different kinds of tissues. Since tumours tend to need a lot of blood to survive and grow, blocking this kind of blood vessel formation could help treat cancers. And a shark’s skeleton is primarily made up of cartilage. When researchers stuck shark cartilage near tumours, it restricted the growth of new blood vessels. Somehow, that led people to think that sharks never get cancer and ingesting shark cartilage in pill form could be used to treat cancer in humans. This turned out to be flat-out wrong— multiple studies have proved that shark cartilage is not an effective treatment for cancer. And sharks definitely get cancer. Scientists have even found ones with tumours in their cartilage. So countless sharks around the world were slaughtered for nothing, and to make matters worse, this myth pulled desperate cancer patients away from actually helpful treatments. Now, the myth is back once again, but this time, the secret cancer cure is supposedly hidden in their genes. This all came up in 2019 because scientists were finally able to figure out what the genome of great white shark looks like— and they found some interesting things. Like, the animals have unique adaptations in genes associated with fighting infections and aspects of wound healing like blood clotting, which could explain how they mend their tissues so quickly. And their whole genome is one-and-a-half times larger than the human genome! A lot of that extra bulk is thanks to genetic features called LINEs. These small DNA segments are a kind of transposon, meaning they can move around on their own. And the proportion of LINEs in the white shark genome is among the highest found in vertebrates so far. That’s note because LINEs can cause genomes to become unstable, resulting in cancer. You see, a cell only becomes cancerous after enough errors have accumulated in its DNA—errors that make it grow and divide when it shouldn’t, for example. So with all those jumping genes, you would think white sharks were super prone to developing cancer. But they are probably not, and that’s likely thanks to remarkable DNA repair. The researchers working on the white shark genome discovered the animals also have a lot of tweaks to genes that help fix DNA damage. That suggests the sharks have evolved a very effective genome clean-up crew— though functional studies would have to be done to confirm that’s true. Their repair mechanisms might even be good enough to make their risk of getting cancer lower than other animals’. But that doesn’t mean they can’t get cancer. Scientists don’t actually have any evidence that sharks develop tumours less often than other vertebrates. And they have caught wild great whites with cancerous tumours. But let’s say for a moment these DNA repair mechanisms are so amazing that the animals get cancer less often than, say, humans. That still doesn’t really help us treat humans with cancer. DNA repair mechanisms aren’t things we can inject or swallow to improve our cells’ ability to fix genetic mistakes. If we wanted to take advantage of them, we would have to do something drastic like add them to our DNA. And I think we all have learned from King Shark’s supervillainous ways that engineering human-shark hybrids is a bad idea. Also, that would only maybe prevent cancer. Great DNA repair can help keep a cell from developing cancer-causing mutations. But once a cell is passed that tipping point, it’s not able to undo them. In fact, making DNA repair better once you have a tumour actually makes matters worse. That’s because health professionals often use treatments like radiation therapy to damage the genetic material of cancerous cells, effectively killing them, and stopping their growth. But if repair mechanisms in those cancerous cells work too well, they might fix the damage, allowing the tumour to bounce back. So oncologists are actively looking for ways to block DNA repair. There are molecules, called DNA repair inhibitors, that gum up these processes. And in theory, if you treat a patient with one of those, then traditional measures like chemotherapy or radiation therapy will inflict enough damage to kill the cancerous cells. The hard part is finding something that can slow or stop DNA repair in tumour cells without causing too much harm to healthy cells, because, you know, you don’t want to make more cancers while you are treating one. Still, there are some potential candidates already being tested. For example, a compound called mibefradil dihydrochloride can hamper DNA repair in brain tumour cells, and clinical trials of the stuff to date have been promising. So in short: sharks are awe-inspiring creatures. They are amazing and we should learn as much as we can about them. But the cure to cancer is not locked away in their cartilage or their DNA, since, their effective repair mechanisms can’t reverse cancerous mutations. Maybe we could learn a bit more about DNA repair by studying their unique mechanisms for it, and that, in a very tangential way, could eventually lead to new drugs that help shut it down when we need to. But that even is kind of a stretch. And all this focus on how they are going to cure cancer distracts from the important stuff we can learn by studying them. Digging deeper into those novel infection-fighting mutations could lead to new kinds of antibiotics that help us stay one step ahead of resistant microbes, for example. 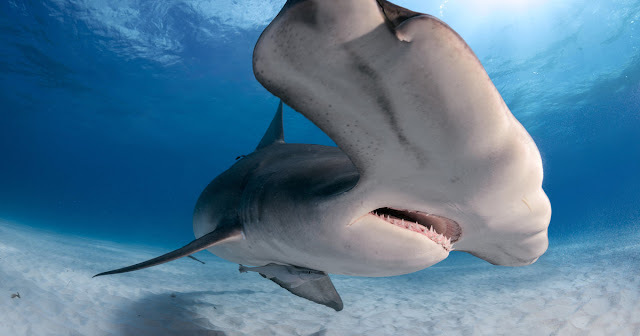 Or, understanding how sharks repair their flesh so quickly could lead to topical treatments that help seal up surgical wounds faster or reduce scarring. Ultimately, most of what we learn from sequencing shark genome isn’t directly related to human health. Comparing their genes to ours and other animals can provide new insights into how these animals evolved and how evolution works in general. So sharks can help us answer bigger questions about life on this planet and how we all got here. And that makes them worth studying, even though they probably aren’t going to cure cancer. Graphene is a two-dimensional atomic-scale material, that is made of a single layer of carbon atoms that have a high level of cohesion through hybridisation bonds sp2 and arranged in a uniform surface, slightly undulating, with a similar appearance to a honeycomb lattice because of its hexagonal configuration. 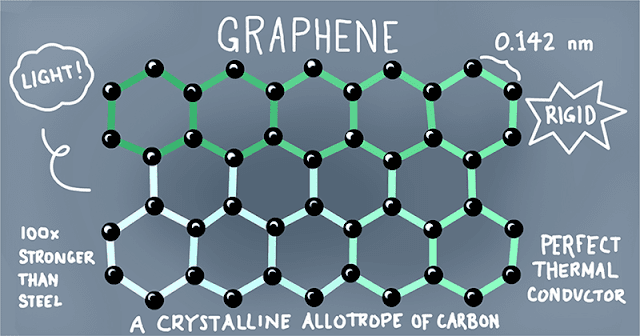 Graphene is an allotropic form of carbon, like graphite or diamond. Thus, one millimetre of graphite contains three million layers of graphene. It is the strongest material known in nature, stronger than structural steel with the same density and even harder than diamond, and at the same time, it has a thickness that varies between 1 and 10 carbon atoms. Because of its thinness, this material is considered two-dimensional; it is the only material that can remain stable at just one atom thick. It is elastic and flexible, graphene also has great electrical and thermal conductivity. This allows for heat dissipation and withstanding intense electrical currents without heating. It is virtually transparent, waterproof and so dense that not even helium can pass through it. It also exhibits many other qualities, such as high electron mobility, a property that will make it particularly interesting in the future for its potential use in fast nanodevices. Graphene has incredible mechanical, electronic, chemical, magnetic and optical properties, and for this reason, it is one of the most investigated materials at the moment. Furthermore, graphene is pure carbon, abundantly available in nature and ecologically friendly. For all these reasons, graphene is very promising for thousands of applications in very different fields. It has the potential to replace fundamental materials such as silicon during the next decade. The array of possibilities for its applications is so wide and so varied that it has the potential to lead to a technological revolution. It was discovered by Konstantin Novoselov and Andre Geim in 2004, both winners of the Nobel Prize in Physics in 2010. An utterly, wonderous achievement. 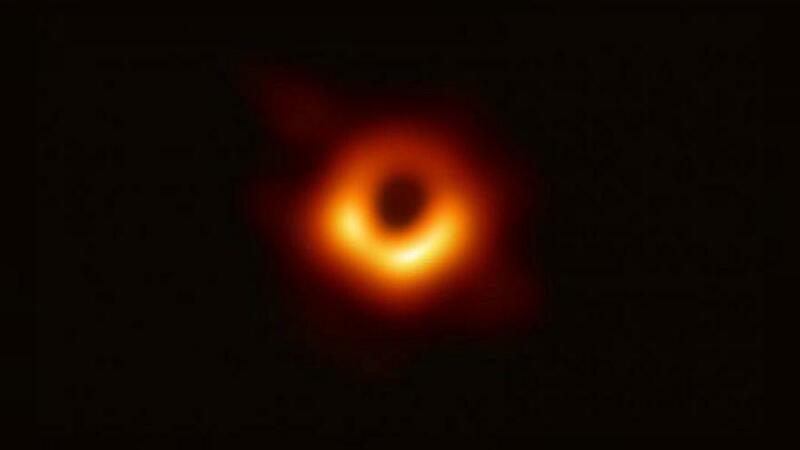 Astronomers using the Event Horizon Telescope have taken the first ever photograph of a black hole. Here's the story, about a hundred years ago, Albert Einstein gave us a new description of the force of gravity in which gravity exerts its influence through warps and curves in the fabric of space and time. Just a couple of years later, Karl Schwarzschild, he was a German astronomer who was stationed on the Russian front during World War I in charge of calculating artillery trajectories, he somehow gets ahold of Einstein's manuscript and realizes something amazing. If you take a spherical object and squeeze it down to sufficiently small size, according to Einstein's math, the gravitational pull will be so enormous that nothing will be able to escape. Not even light, and that is what we mean by a black hole. Now, when Einstein caught wind of these results, he didn't believe it. He didn't think these objects would actually be out there in the universe and yet in the ensuing decades, theoretical developments began to mount showing that black holes were the inevitable outcome of massive stars that had used up their nuclear fuel, undergone a supernova explosion and the resulting core would have no ability to withstand the pull of gravity when it collapsed down into a black hole. The observational cases also began to mount studies of the centre of our Milky Way galaxy showed stars whipping around the centre at such an enormous speed that the only explanation for the object that could exert the powerful gravity responsible for that motion would be a very massive black hole, perhaps four million times the mass of the sun. And perhaps the most compelling convincing observational evidence to date actually comes from gravitational waves. When we received the first ripples in the fabric of space back in 2015, the only explanation for the pattern of those waves were two black holes, very distant, that collided, setting off a tidal wave in space that we were able to detect. Now, even with the mounting theoretical and observational evidence, we never directly seen a black hole itself. And that is what now has changed. Using eight radio telescopes from around the world, the Event Horizon Telescope, the name of this consortium, has now taken the first ever snapshot of a black hole itself. The image provides the first direct test of Einstein's theory and the strong gravitational field of a black hole, and as far as we can tell Einstein was once again comes through with flying colours. In many ways, this image really is an emblem of the power of the human intellect to explore, to discover, and understand the cosmos. Energy plays an important role in today’s modern society, it drives our lives and heats our homes. With the day-to-day demand for electricity increasing at an alarming rate worldwide, due to high industrial growth and the extensive use of electrical equipment and gadgets around the modern home has meant that for humans, the availability of energy has never been so important. With increased energy demand in the form of electrical power and declining fossil fuel energy, means that Alternative Energies and environmentally friendly green fuels to power our cars are now being developed. But, first, let's understand what are fossil fuels and look at the current situation and where we are today. The modern world relies heavily on the use of energy obtained from burning fossil fuels. Without this fossil fuel energy, machines will not operate and electricity will not be generated. Electricity is needed for everything from powering the lights in our homes to running the latest high-tech, high-speed rail network across the globe. Our energy consumption and requirements have been increasing rapidly during the last 250 years following the advent of the industrial revolution. From the age of steam until today this rapid increase in the use of energy has created its own problems of supply and demand. This growing world energy demand has led to increased use and burning of fossil fuels and non-renewable energy sources, just to generate electricity and keep the lights on. About 80% of the energy we today use comes from fossil fuels. The list of fossil fuels is short with the 3 fossil fuel types being coal, petroleum oil, and natural gas. We use these types of fossil fuels in enormous quantities and for good reasons. They are easily available, easy to store and easy to move around the world. The stored fossil energy within them can be quickly released through combustion for cooking, heating, and transportation. The problem with this is that fossil fuels are a finite resource, they are a non-renewable energy source, that is eventually cheap coal (that we burn to generate electricity), cheap natural gas (with which we use for cooking and to heat our homes) and cheap oil (on which our cars and lorries run) will eventually run out in the next 50 years or so. We know that crude oil, natural gas and coal are all fossil fuels and that “Fossil fuel” is the general expression used to describe any type of “hydrocarbon” material that can be burnt or used as a fuel releasing its energy as heat. They are called hydrocarbons because their chemical structure is based on a combination of hydrogen and carbon atoms. Under extreme heat and pressure, these atoms bond together and create long chains of molecules made up of hydrogen atoms attached to a backbone of carbon atoms. Once formed, hydrocarbons can exist in an almost infinite number of combinations, each with its own unique properties from a solid to a gas. The three most common forms of hydrocarbons correspond to the three states of matter being: solid, liquid and gas. Coal is a solid, crude oil is a liquid and natural gas is, well a gas. These fossil fuels can be further refined to produce hydrocarbon by-products such as tar, petrol (gasoline) or kerosene from oil or propane, butane, and methanol from natural gas. We have discussed above the main 3 fossil fuel types used for electricity generation, cooking and heating. At current or increased rates of production, fossil fuel oil and natural gas will be gone in 50 years or so with the price per unit increasing long before that. The burning of carbon-containing fossil fuels generates large amounts of harmful gases and pollutants to the atmosphere resulting in global warming and climate change due to the greenhouse gases: carbon dioxide, methane, and nitrous oxide. 1. Energy conservation by reducing the use of electricity and gas in the home and workplace. 2. Reduce our current oil consumption and waste by driving less or at slower speeds. 3. Look for more ways to reduce our use of fossil fuels and waste. 4. Use other forms of alternative energy sources. The increased energy demand, depleting fossil fuel resources and growing environmental pollution have led the world to think seriously about other alternative sources of new energy. The basic concept of alternative energy relates to issues of sustainability, renewability and pollution reduction. In reality, alternative energy means anything other than deriving energy via fossil fuel combustion. Finding ways to reduce fossil fuel usage and greenhouse gas emissions while producing enough energy to support economic development worldwide is a major challenge. There are a variety of new alternative energy sources including solar and wind generation we can take advantage of today to reduce our dependence upon fossil fuel energy. We all know what it feels like to be energetic to have energy, it's this something that allows us to move, be active, get out of bed in the morning. And you can have more or less of the stuff. You can get it from breakfast. You can lose it by mowing the lawn. Energy seems near tangible to us. We imagine it as this ephemeral substance or a mystical influence. But that intuitive sense has inspired us to discover the most powerful and useful concept in all of physics. In physics, energy is not a substance nor is it mystical energy, it's a number, a quantity. And the quantity itself isn't even particularly fundamental. Instead, it's a mathematical relationship between other more fundamental quantities. Power derived from the utilization of physical or chemical resources, especially to provide light and heat or to work machines is Energy. Energy is everything. It’s everywhere. It’s one of the true constants of the universe because as long as there has been a universe, there has been energy. 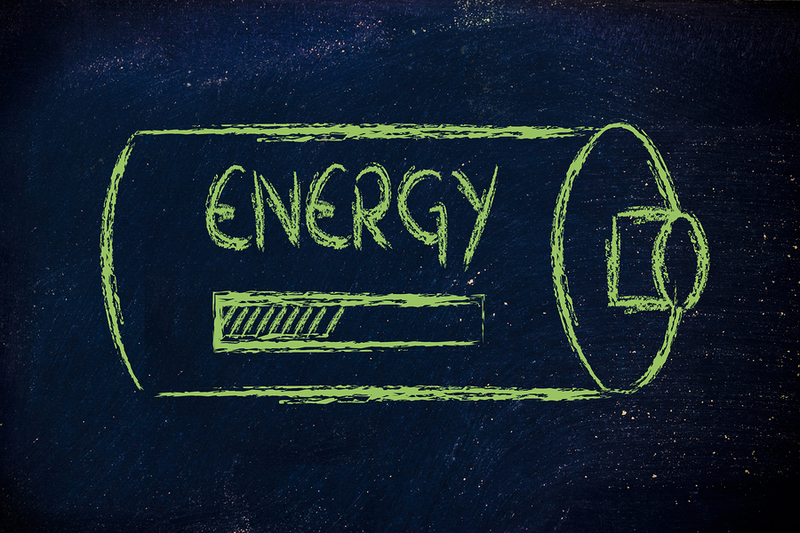 And while it comes in lots of different forms that can seem different to us, they all amount to the same thing: Energy is the ability to do work. And work is just the act of displacing something by applying force. So, say you stomp on a stomp rocket. The force of your foot hitting the pedal is turned into the force of air leaving the cannon sending your rocket sailing. Or maybe you are enjoying a nice patty melt -- the energy from that food is broken down for all of the quadrillions of cells that you have to do all of the things that they have to do -- make copies of your DNA, assemble and repair proteins, transport materials from one place to another, make muscle cells contract -- you know, all the stuff of being alive. And the ability to do these things is inherent in everything around you. Even things that look inert, completely lacking in energy. 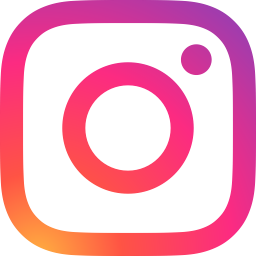 For example, a log is chock full of chemical energy because it’s made up of combinations of carbon and hydrogen and oxygen formed into lignin, which is the stuff that makes up wood. All of the bonds between all of those atoms, in every molecule of lignin, contain energy. How do I know? Because if I were to apply enough extra energy, like as heat, to break those bonds -- it would release that chemical energy as fire. That chemical energy also the kind of energy you get from that patty melt -- your body is fueled by the chemical bond energy in sugars, fats, and proteins. But this log also contains nuclear energy! Each atom in this wood has a nucleus, made of protons and neutrons, and the energy that binds them together is one of the most powerful sources of energy in the universe. If you could split one of the atoms of carbon or hydrogen in this log and rip those protons and neutrons apart, it would release some of that energy. There is so much nuclear energy in each atom that, if I could unleash all of it that's in this log? There would be a giant smouldering crater where I’m standing and everyone in the state I live in would be dead. So, everything that is made of atoms has nuclear energy locked up in it, but also, it turns out, that mass and energy are the same things! You might have heard of this little equation that a German patent clerk came up with about a hundred years ago: E = mc2. Energy disguise in many from like Heat, Kinetic Energy, Potential Energy, Electricity Energy.. etc. But even though they may seem different, they can all be used to do work, whether it’s driving a turbine, or moving an engine piston, or allowing the screen on your tablet to glow. Or, if it’s that most mysterious of energies, dark energy, causing the universe to expand more than it seems like it should. But here’s the thing to remember. Once the work is done, the energy isn’t done. Because energy never goes away. It can never be destroyed, and in the same way, it can never be created. It can only be transferred from one source to another -- like, how the energy in the plants and animals that were in the patty melt were transferred into you -- or it can be transferred from one form into another -- like the chemical energy in the wood being transferred to light and heat as fire. You could think of the universe as a constant flow of energy, and we are just little pit stops along the way. Everything your body is doing right now -- whether it’s your lungs absorbing oxygen, your heart pumping blood, your brain cells firing as you watch me and learn things -- all those things are using recycled energy that’s been around since the origin of the universe. And by simply being alive, you are releasing that energy back into the environment around you, to be used by other things in other ways. Maybe you have been pouring skim milk on your cereal and spritzing non-fat dressing on your salad for years. But it turns out, eating fat won’t make you fat. In fact, research shows that low-fat diets don’t seem to aid in weight loss or in reducing the risk of disease compared to higher fat diets. And all those refined carbs you have been eating to replace that fat might be the real issue. To understand how fat can be healthy, it’s first helpful to understand what’s going on with carbs in your body. When you eat a simple carbohydrate, like a slice of bread, enzymes in your saliva immediately start breaking that food down into sugar. That surge of sugar triggers a hormone called insulin, which tells your body to store available energy in the bloodstream in fat tissue and other forms. And the later surge-crash makes you feel hungry, encouraging you to eat more. But fats are another story. Fat isn’t processed the same way as carbs. It can’t be broken down with saliva, or fully digested by stomach acid. Instead, your small intestines, with the aid of bile secreted by your liver, break it down. This happens much later in the digestive process, so fat digestion is much slower. The different fats interact with your hormones in complex ways that, unlike carbs, don’t cause a massive spike in insulin. And good fats are really important for your body to function properly. Monounsaturated fats can be found in olive oil and avocados. This good fat helps reduce inflammation and levels of LDL or “bad” cholesterol in the blood. Polyunsaturated fats in foods like sunflower seeds, walnuts, and fish also have significant health benefits. Fish oil, for example, consists of one type of polyunsaturated fat called omega-3 fatty acids -- which have been found to decrease blood pressure, increase HDL or “good” cholesterol, and may also protect against heart disease. But saturated fats found in red meat and dairy are a different story. 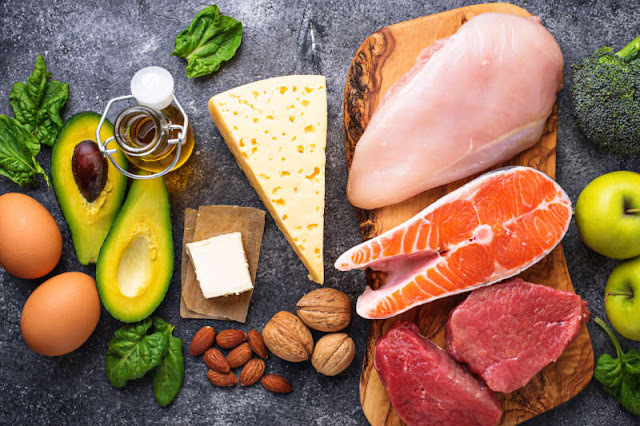 An extensive study found that replacing a small percentage of calories coming from saturated fats with calories from unsaturated fats reduced the risk of death, heart disease, and a number of neurodegenerative diseases. At the same time, studies show full-fat dairy is healthier than reduced fat dairy. One recent study found that drinking full-fat dairy was associated with a lower risk of diabetes. So while unsaturated fats are better, saturated fats aren't entirely useless. Not only are unsaturated fats essential for your body, avoiding them in the name of weight loss isn’t actually a helpful way to shed unwanted pounds. A study by the Women’s Health Initiative assigned women to low-fat diets for eight years. They found the participants didn’t seem to gain protection against breast cancer, colorectal cancer, or cardiovascular disease. And their weights were generally the same as those of women following their usual diets. And in the carb vs fat debate, an extensive 2017 study found no association between dietary fat and heart disease. In fact, the researchers found that high-carb diets were linked to a higher risk of death. So, if studies show that fat doesn’t make us fat or increase our risk of heart disease… and carbs make us hungry and are linked to a higher risk of death, should we all just ditch carbs altogether? Recent research seems to advocate a balanced diet that includes a combination of healthy fats and complex carbs. Researchers found that diets high in fibre and low in refined grains, meat, and sugars resulted in less weight gain. So what should you eat? The good news is that you can find healthy fats and complex carbs in a variety of tasty foods. Although you should probably avoid eating lots of refined carbs like white bread and rice. Foods like sweet potatoes, raw apples, and legumes are a different story., though. These foods don't cause the same sudden peaks in blood sugar. And like healthy fats, they contribute to a balanced diet to keep your body running. So go forth and toss some oil on that salad! Batteries are necessities of modern life, powering everything from cell phones to vehicles. Most batteries operate via chemical reactions that convert stored chemical energy into electrical energy. These electrochemical reactions are triggered when a load (e.g. a light bulb) is connected to a battery, causing electrons to flow. Though traditional batteries are ubiquitous and can be very cheap, future batteries may harness the power of radioactive isotopes for electricity generation. 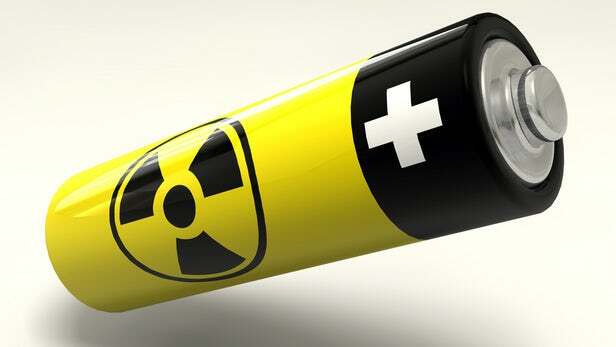 Batteries that use the decay products of radioactive isotopes are known as atomic batteries or radioisotope generators. The first atomic battery was developed in 1913 by Henry Moseley. His battery consisted of a spherical glass globe with a silver lining the interior. Within the glass, the sphere was an emitter of a radioactive isotope of radium. The emitted charged particles deposited on the silver, causing a build-up of charge. This effectively created a radioactively powered capacitor, from which electric current could be extracted. The overwhelming advantage of atomic batteries is their long life capabilities with minimal external maintenance. Therefore, radioisotope generators are ideal for space missions lasting several years or for power generation in remote locations. Furthermore, atomic batteries are lightweight, independent of sunlight unlike solar cells and unaffected by radiation belts in space (e.g. the Van Allen belts). Nonetheless, atomic batteries have only proliferated slowly primarily due to their prohibitive cost compared to traditional batteries and public health concerns regarding radioactivity. Just as electrochemical batteries can be fueled by reactions between various chemicals, atomic batteries can be fueled by the emissions of many radioactive isotopes. However, the electric conversion principles employed distinguish atomic batteries into two categories: thermal and non-thermal. Power output from a thermal atomic battery is dependent on temperature whereas a non-thermal battery is independent of temperature. NASA and the Department of Energy have extensively studied radioisotope power systems to produce heat and electricity for space missions lasting over a decade and extending into regions of the solar system where sunlight is too faint to permit solar energy conversion as a viable power source. 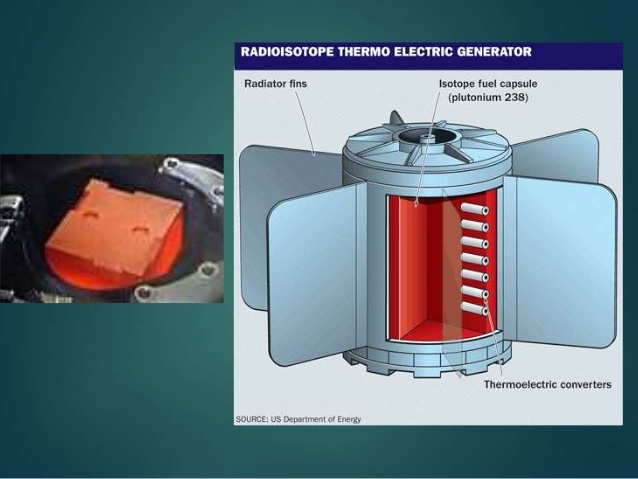 As of 2005, the United States had launched 44 radioisotope thermoelectric generators (RTGs) on 25 different missions, including the Cassini mission to Saturn and the Galileo mission to Jupiter. The radioisotope of primary interest to NASA is plutonium-238 (Pu238), a radioisotope not used for nuclear weapons. Plutonium decay products not only serve to generate electricity to power the spacecraft, but the heat generated by radioactive decay fuel radioisotope heater units which warm the instruments aboard the spacecraft. Keeping electronics and instruments warm is essential in the frigid climate of space since most electronic equipment has a relatively narrow operating temperature range. NASA and the DOE continue to fund research on RTGs with goals to increase power conversion efficiency above 35% while maintaining the reliability of electricity generation in space. More than ten government contracts have been awarded to private companies relating to various aspects of RTGs in an effort to produce more cost-effective long-term science missions for NASA. A non-thermal atomic battery that generates electricity from electron/beta-particle emission is known as a betavoltaic. A viable radioisotope for use in betavoltaics is an isotope of hydrogen with two additional protons, known as tritium. Since tritium loses half its radioactive energy in 12.3 years (its half-life) betavoltaics made with tritium can last well over a decade. Furthermore, beta particles emitted from tritium do not penetrate human skin, alleviating potential public health concerns. These two characteristics of tritium make it well-suited for medical devices. For example, pacemaker recipients often outlive the pacemaker battery, requiring risky, invasive replacement surgery. 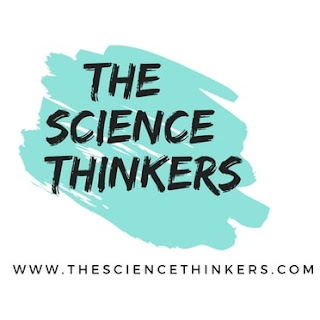 Pacemakers using a tritium power source could have battery lifetimes on the order of decades, obviating the need for replacement surgery. Another advantage of tritium is that can be easily obtained from Canadian nuclear reactors that generate heavy water as a by-product. Though betavoltaics is still more expensive than other traditional batteries, they could provide a future power source for electronics requiring minimal power in poorly accessible locations. Also Read:- What Is Radioisotope Power System?